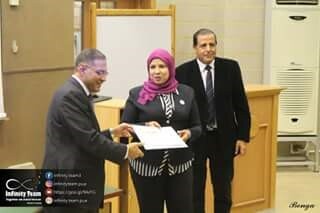 The faculty of Engineering held a seminar on “Population Dynamics and Sustainable Development” on Tuesday 21/11/2017. At the beginning of the seminar, two documentary films were shown; the first was on the history of world population dynamics and the second was on Africa Continent. A word was then given by Mrs. Ebtesam Ahmed Helmy, the Director-General of the Central Agency for Public Mobilization and Statistics (CAPMAS) for the North Region, on/about Africa Continent and the difficulties it encounters/ experiences — setbacks it suffers. She also outlined the vital importance of good data for better life/ the integrated relation between statistics and the quality of life. Major General. 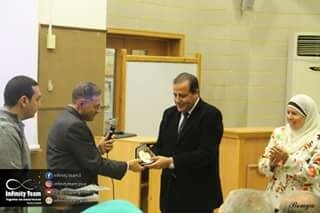 Tarek Mahmoud Saadallah, the President of the Central Agency for Public Mobilization and Statistics (CAPMAS) for the North Region also gave a word on the vital role of population dynamics in achieving sustainable development. A discussion was opened thereafter between Major General. 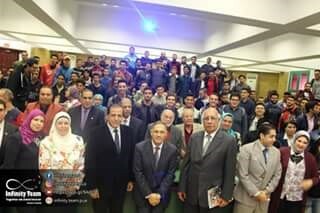 Tarek Mahmoud Saadallah and the attendees in which he answered their enquiries. 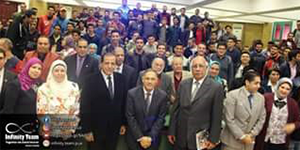 The seminar was also attended by Mr. Mohamed Hafez, the Vice- President of Labor Union Office in Alexandria, some figures/personalities of a number of social institutions/organizations, faculty members of Pharos University and other Egyptian universities as well as/ and teaching assistants. A considerable number of PUA students also showed presence in the seminar. 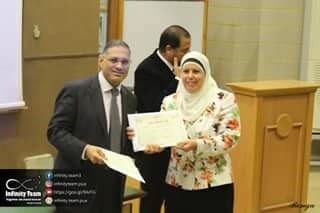 By the end of the seminar, Prof. Mohamed Gaber, the Dean of the faculty of Engineering, distributed certificates of appreciation and plaques to the President and the Director-General of the Central Agency for Public Mobilization and Statistics for the North Region, Mr. Doaa Eid Shokry, the CAPMAS Director of Public Relations Department and Eng. 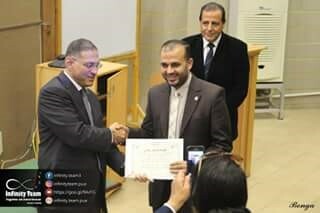 Khaled Abdo, the Director of CAPMAS Geo- Portal.